Scotland has been inhabited for many thousands of years, and, during this time, people have built some remarkable and, in some cases, downright weird buildings! From mighty fallen mansions to still standing stone age homes, from Glasgow to Shetland, here we share seven of these fascinating architectural wonders. Built in 1791 for the Earl of Dunmore, who also happened to be the last colonial governor of Virginia, this was his summerhouse. 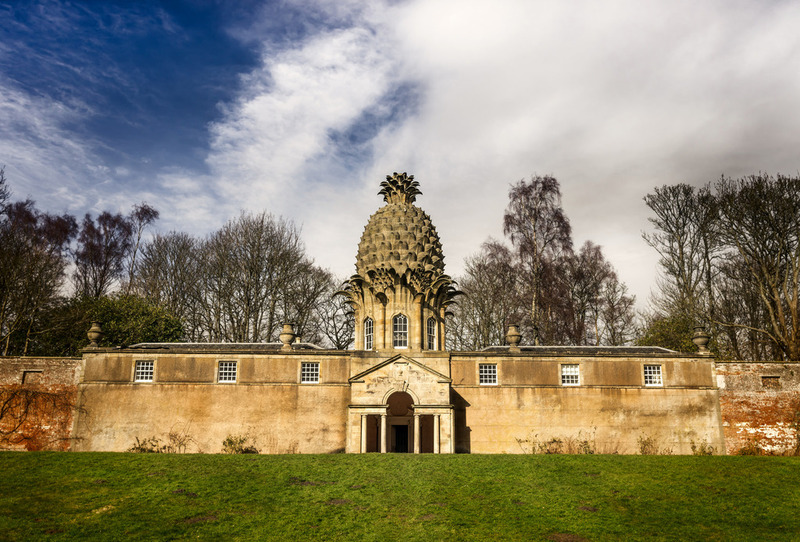 The walled gardens surrounding this strange building grew a wide variety of fruit — including pineapples. Pineapples were first grown in Scotland in 1731. Available to rent as a holiday home, despite this being a truly weird building, it has stood the test of time and there is nothing else quite like it! 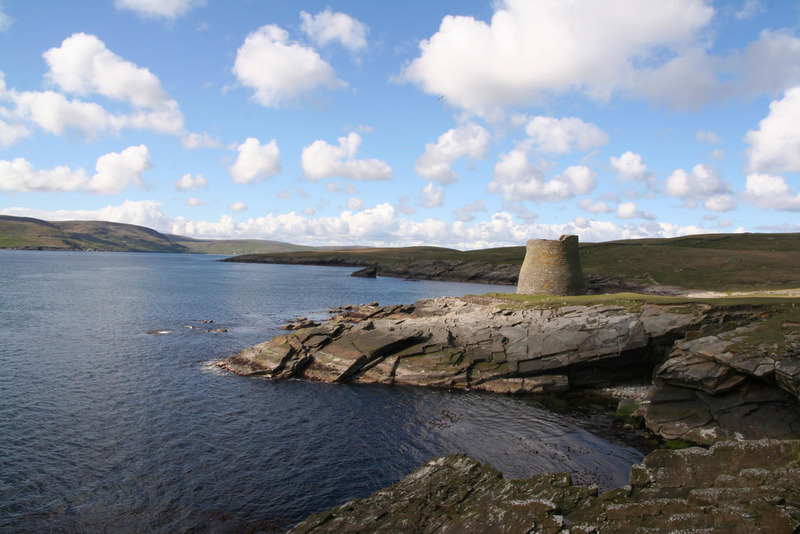 The finest surviving example of this form of ancient architecture, the Broch of Mousa in Shetland was built in the Iron Age, over 2000 years ago, and mentioned in two Viking masterpieces: The Orkneyinga Saga and Egil’s Saga. Standing over 13 metres (43 feet) high, the level of engineering skill that went into the construction is remarkable, given its age. Now it is home to thousands of storm petrels, which nest within its walls. 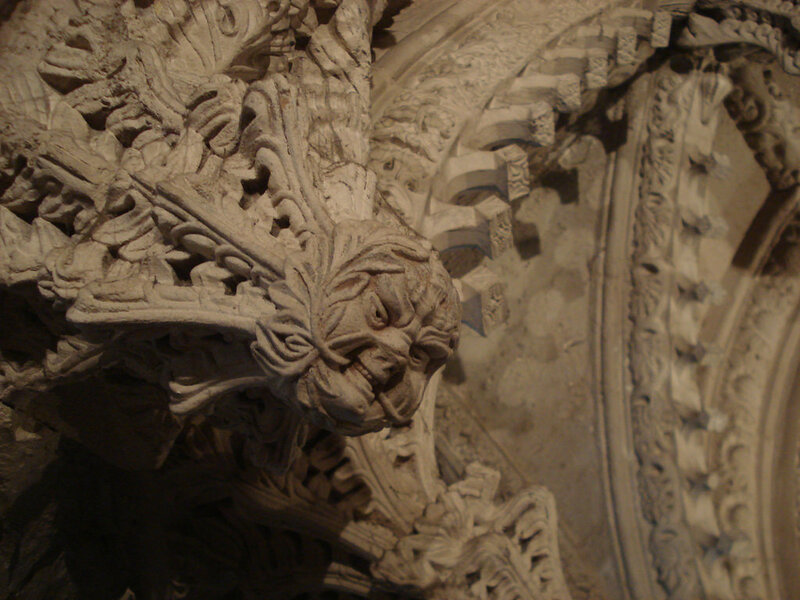 Now famous thanks to the Da Vinci Code, Rosslyn Chapel is a masterpiece of medieval craftsmanship. Originally ordered to be built in the 15th century, by William Sinclair, the First Earl of Caithness, and abandoned in 1592, the chapel grew ruinous and derelict, until Queen Victoria visited and wanted it restored. Now it is a major tourist destination, drawing tens of thousands of visitors every year. Whether it contains any hidden treasures or relics should not really matter as the carvings themselves are treasure enough. The Sinclair family have long had a powerful role to play in Scotland, as can be seen by mention of Rosslyn Chapel. However, their stronghold was the far northern county of Caithness, and they built several fortified homes here. 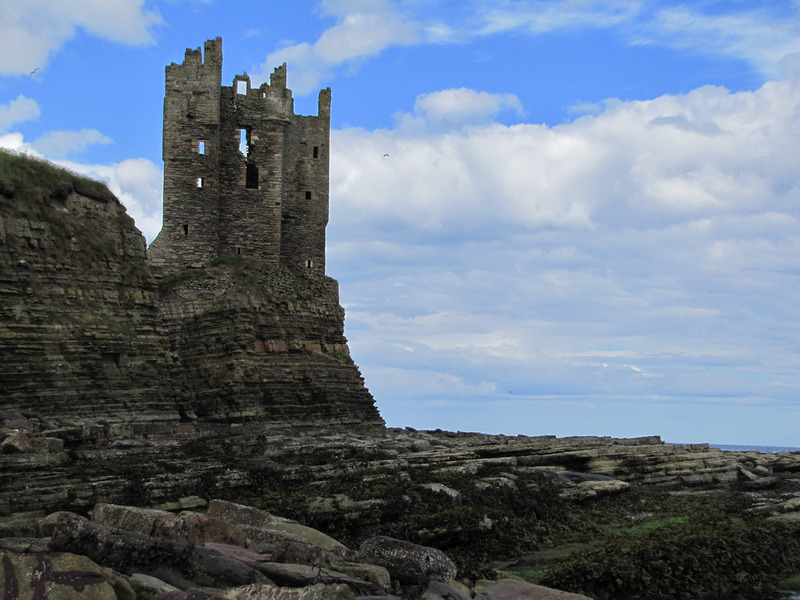 The bay that bears their name (and an excellent dune-backed beach) features no fewer than three castles, Keiss, Ackergill and Sinclair Girnigoe, the latter of which was actually two castles. Ackergill is a luxury hotel, but the others are all spooky ruins. Completed in 1966, this is an unflinching display of brutalist architecture and recognised to be of international importance. Originally designed to house Roman Catholic priests in training, this use did not last beyond 1980, after which it became a home for rehabilitating drug addicts, before being abandoned and rapidly falling into eerie ruins. 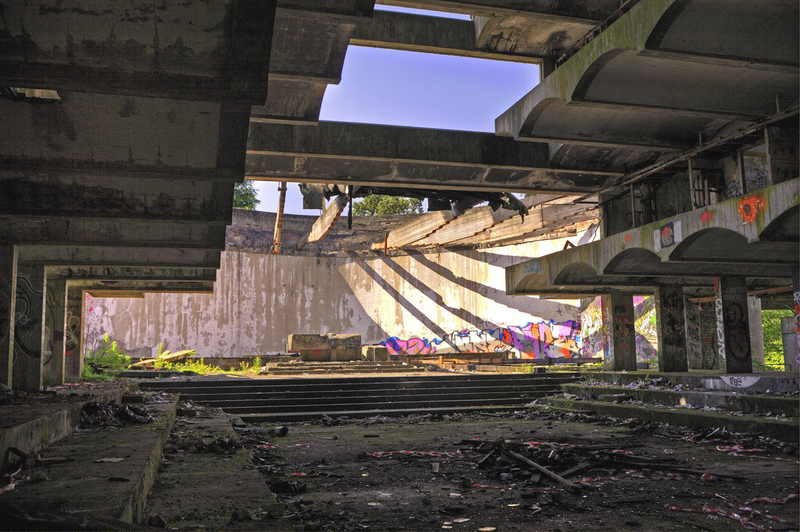 There are plans afoot to rescue the concrete structure, which has been said to be Scotland’s greatest post-war building. 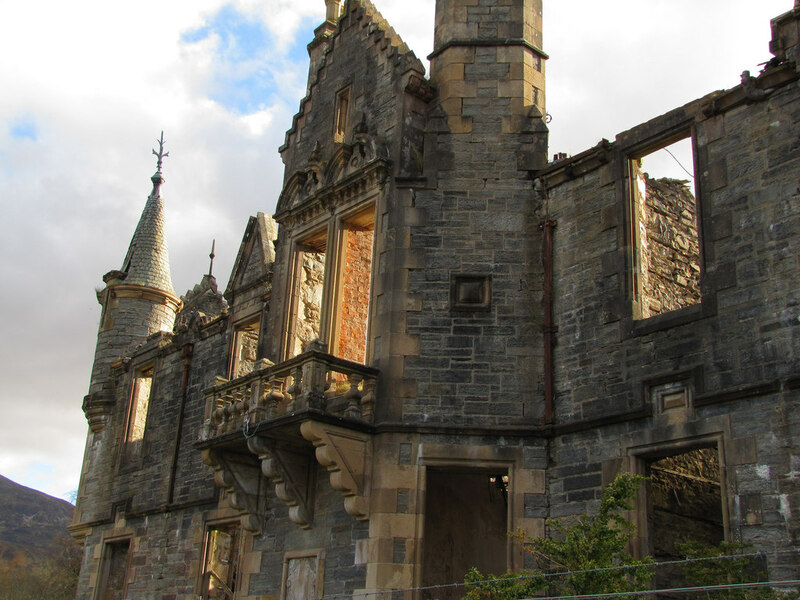 Constructed in 1862, this was a fine mansion house not too far from Pitlochry, originally known as Mount Alexander, built on the site of two former homes of the Clan Donnachaidh, both of which burnt down. It was requisitioned by the military during the Second World War, after which it was used to house refugees. It also caught fire and was abandoned in 1952. Now it stands as a shell, with birds and bats living in the towers, slowly crumbling. To make things even more creepy, there are two small graveyards hidden in the woods. 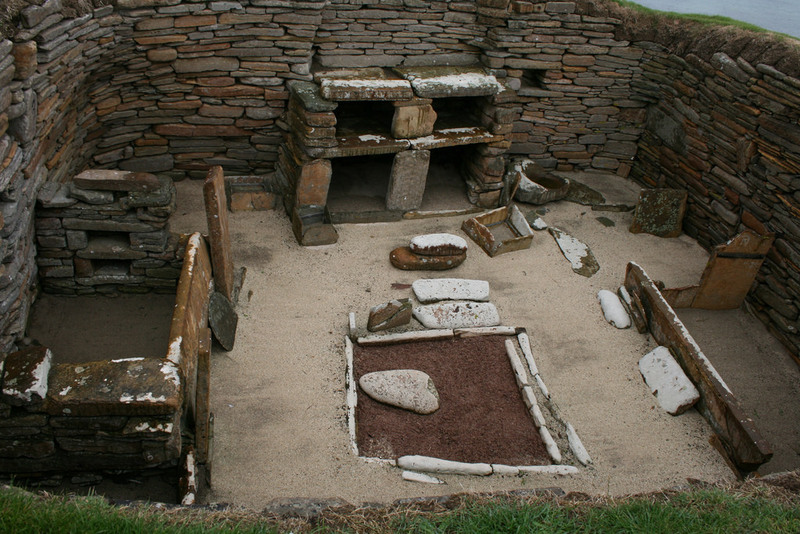 The Broch of Mousa is ancient, but Skara Brae is older by more than 3,000 years — making it over 5,000 years old! Not just one building but a whole Neolithic village of eight, this UNESCO World Heritage Site was revealed to the world during a storm in 1850, when tonnes of sand were swept away. The level of preservation is extraordinary, right down to stone furniture, such as beds and even dressers. It is the oldest and best preserved domestic site in Europe. The site is also famous enough to have been referred to by Indiana Jones!